North Fitzroy gastro pub the Terminus Hotel is in the market for a new pair of hands to guide it into its next phase. 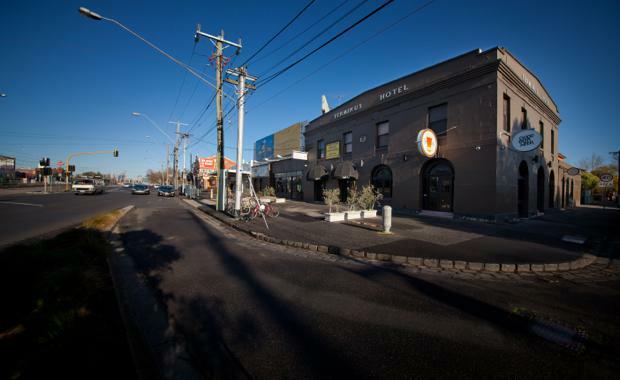 Colliers International’s Guy Wells and Will Connolly have been appointed to sell the leasehold interest of the Terminus Hotel at 492 Queens Parade in North Fitzroy. The business is offered for sale via Expressions of Interest closing September 23. Mr Wells said the sale of the Terminus Hotel business offered an opportunity to acquire a strongly trading hotel in a popular location with clear upside and future growth. “The opportunity to acquire this hotel provides an operator the luxury of a solid business with no capital expenditure required in the short term,” he said. “Very rarely does a true food and beverage pub of this scale get offered to the market.